You can print directly from your home computer, smartphone or tablet and have your print job ready for you at the branch. All you need to do is send an email titled “Print Job” to your branch. When you arrive at the branch, head to the information services desk and tell them the email you sent your print job from. We will send your print job to the printer, then you’ll pay for it. Easy! Printed or photocopied black & white pages are $0.10 and color pages are $0.30. 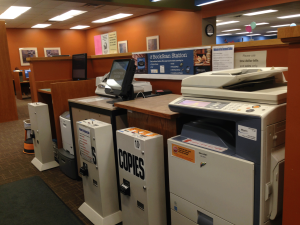 Each of our main branches is equipped with BookScan Stations, which can scan documents and send them to a fax machine, an email address, Google Drive, USB flash drive or even a smartphone. 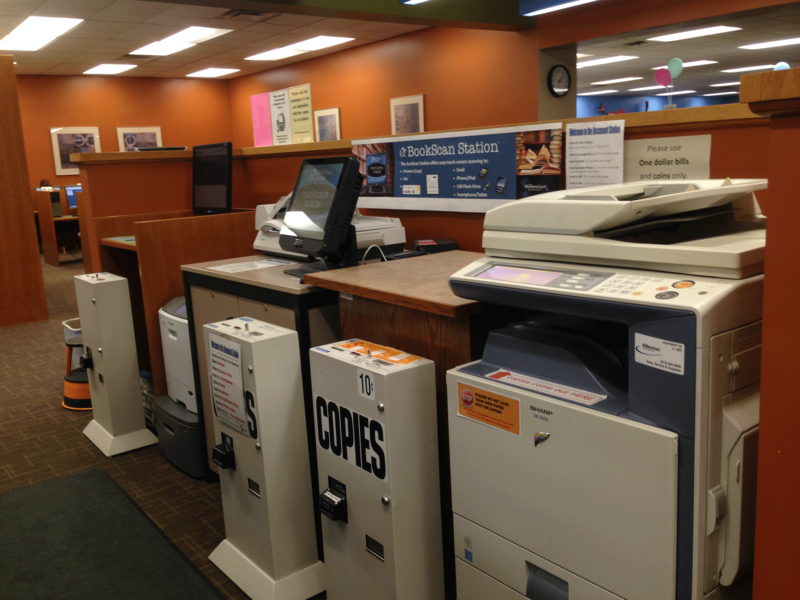 Our Alexandria Branch is equipped with an all-in-one print station. The machine can scan to an email address, USB flash drive and fax machine. It does not have the capability to do confirmation pages when faxing. It’s $1 for the first fax page and $0.10 for every page after that. The other services are only $0.10 a page. Please note: this machine only accepts cash & coins.